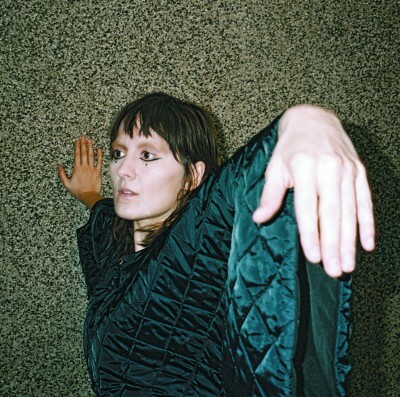 It’s fitting that Cate Le Bon lists Roedelius’ Jardin au fou and Syd Barrett’s Barrett as two of her favorite albums in a 2014 Spotify playlist created for The Quietus. Le Bon’s musical style fuses rambling psych-folk with analog sounds that stem from a sleepy carousel ride, nearly a perfect marriage of the two aforementioned albums. If you were to take “Baby Lemonade” from Barrett and “Café Central” from Jardin au fou, you’d have the foundation for nearly every song on Mug Museum, Le Bon’s last solo album prior to Crab Day. There’s something endearing about those songs, sort of like enjoying eccentric lullabies. On Mug Museum, “Wild” stands out with its rowdy guitars and Le Bon’s passive-aggressive shouting of “wild” throughout the chorus. The song gives context as to why Le Bon and psych-maverick Tim Presley of White Fence make for such a cohesive collaboration. They both love noisy guitars that poetically tell stories through elements of punk, psych and folk music. There’s a distinct difference between the appeal of Mug Museum and the challenging nature of Crab Day that makes sense if you’re familiar with Drinks, the musical project of Le Bon and Presley formed after the release of Mug Museum. When you put Le Bon and Presley together, you get music that is entirely interesting, albeit a bit trying after a few songs. It’s music that would really pique my interest in a playlist or mix, but not necessarily music I want to hear throughout an entire album. It’s eccentric and at times paranoid, which basically equates to schizophrenic. I can only take so much of two guitars playing different riffs at different speeds with random percussion over monotone vocals before it wears on my nerves. Although Crab Day is Le Bon’s solo work, the influence of her work with Tim Presley definitely carries over. Le Bon’s strengths do shine through on the album occasionally, which saves Crab Day from being a complete bust for me. Her Welsh accent is apparent when she sings, and it has a beautiful effect. Her voice can be quite soothing when she extends her notes to carry a melody. “Love Is Not Love” is the easiest song to enjoy on the album and the only one I care to revisit. It comprises a single, bluesy electric guitar riff, a sleepy drumbeat and Le Bon’s captivating lyrics: “I won’t let you sing my name again, love / Love is not love when it’s a coat hanger, a borrowed line or a passenger.” The song essentially plays out like a breakup song for someone who loved someone dearly, who couldn’t return the same type of love. Le Bon ends the song with the unsettling lyrics, “Your bread is warm and it fills my night / But I don’t know how to love you right.” “Love Is Not Love” is one of the best folk songs I’ve heard in the last few years.